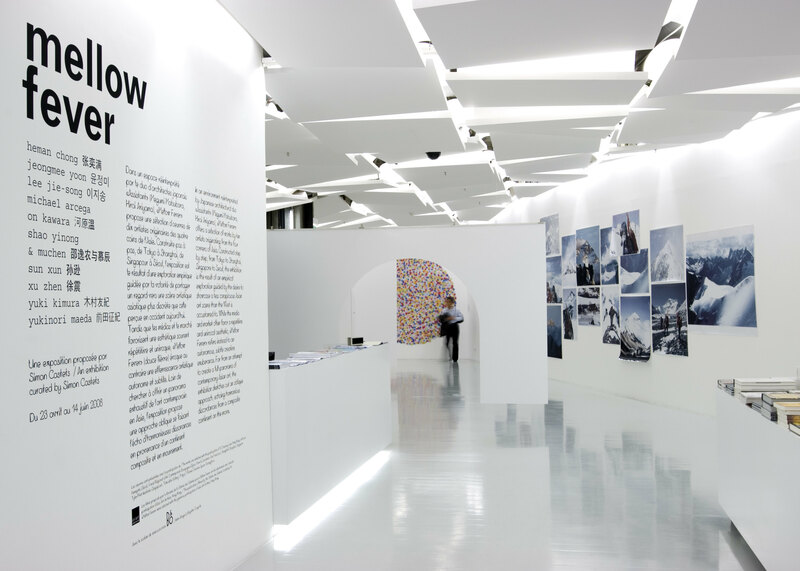 “Translucent Passage” is an overall scenography created for the exhibition “Mellow Fever”: an art exhibition that showed contemporary asian artists in a 360sqm gallery space inside Galeries Lafayette building. 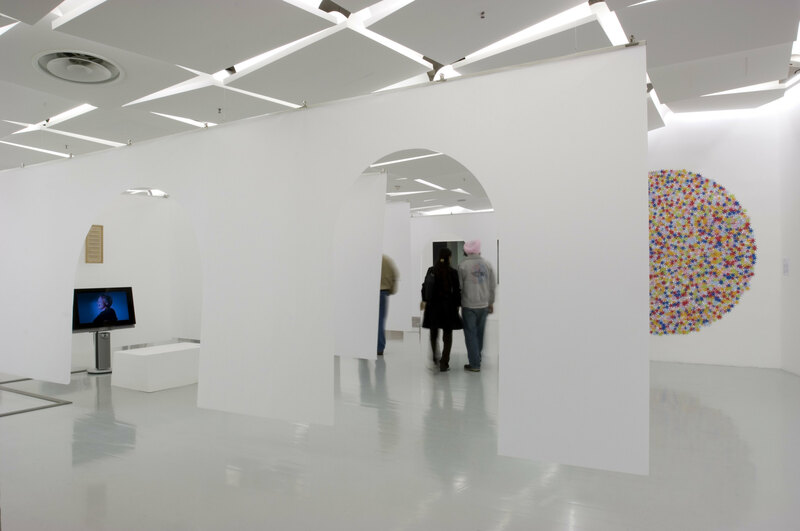 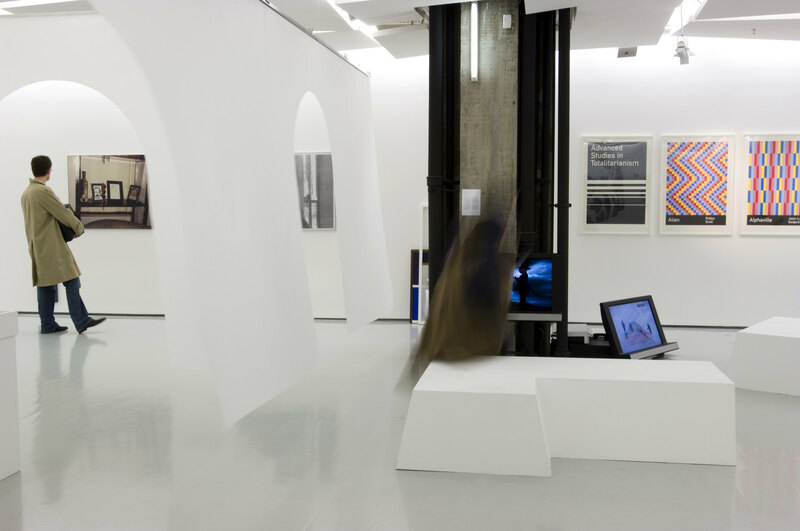 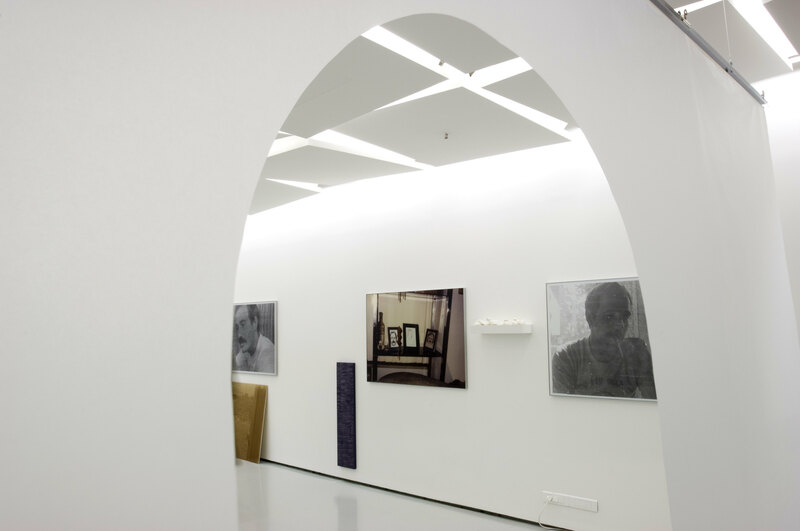 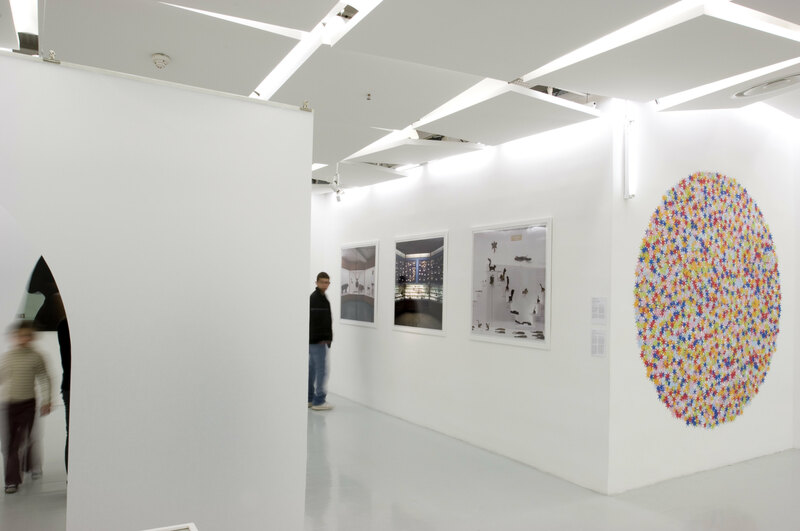 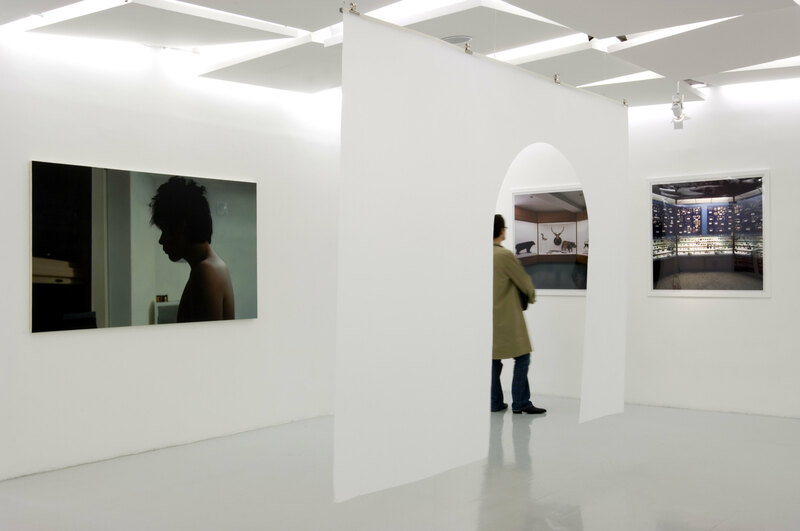 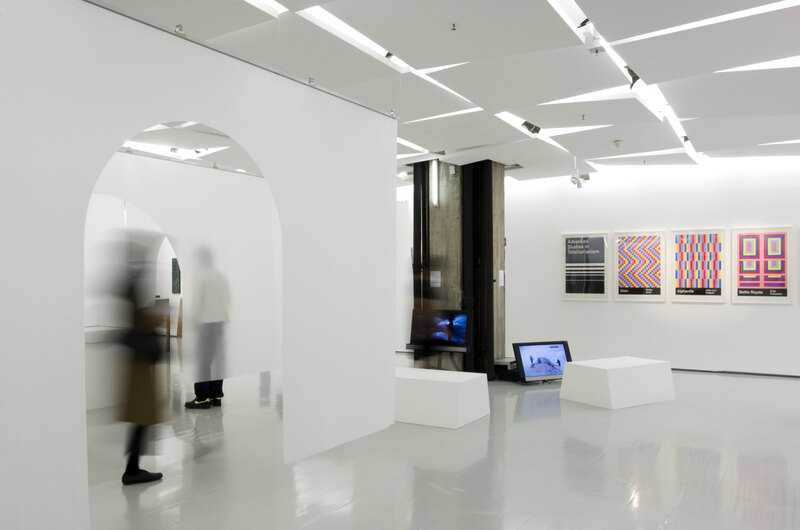 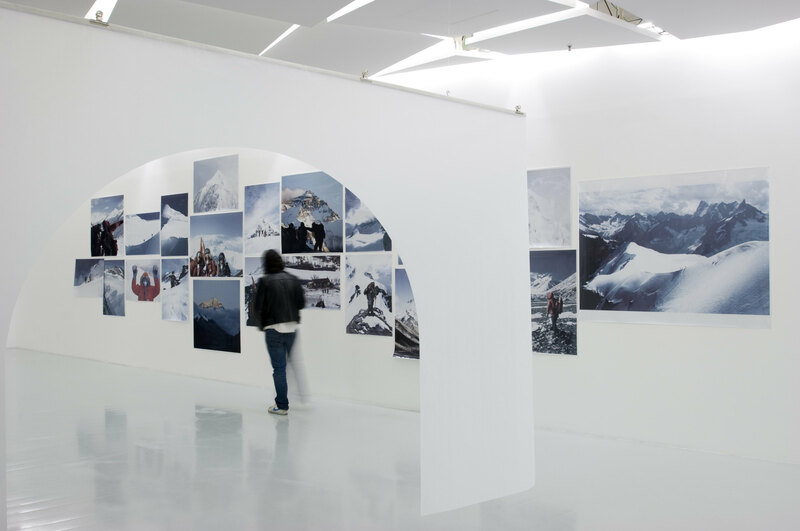 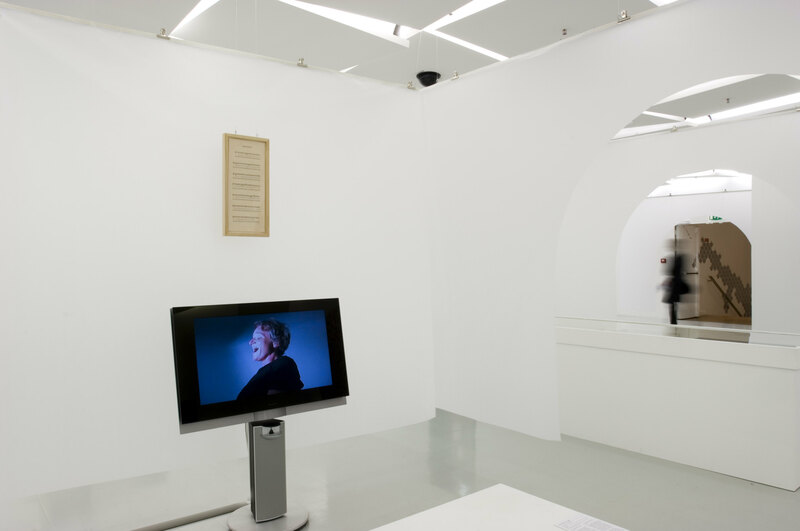 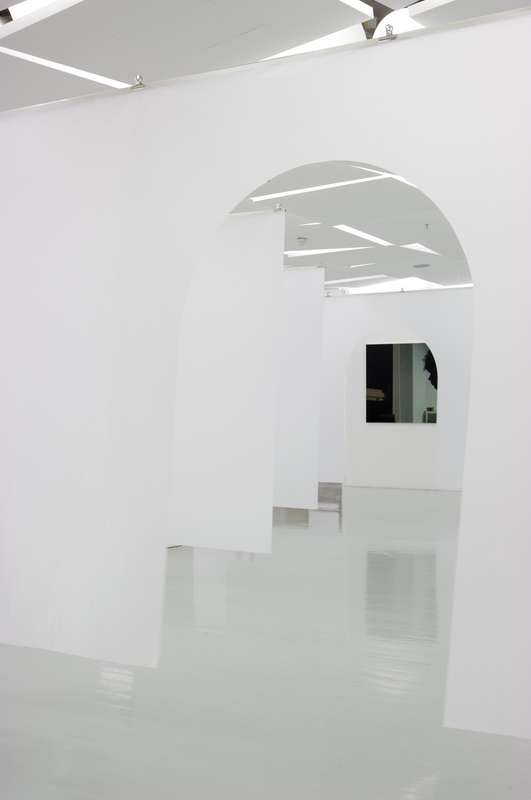 The show was curated by an independent curator Simon Castets whose aim was to sensitively introduce Asian contemporary scene as much avoiding exoticism or Orientalism. 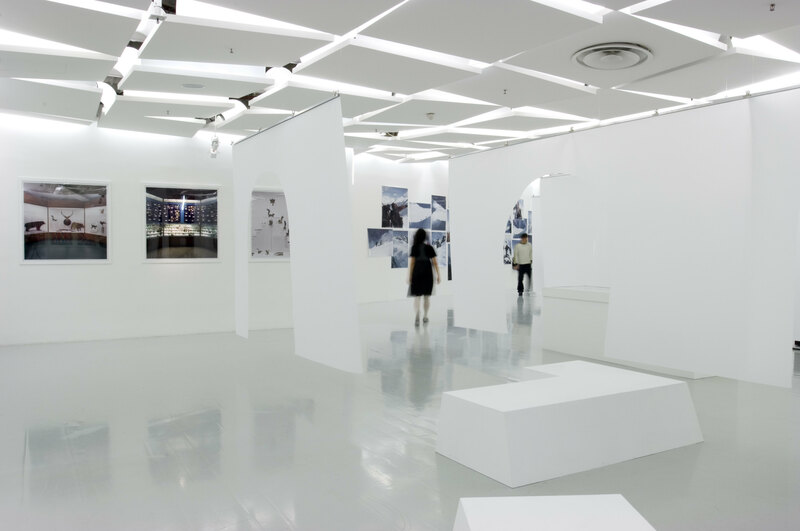 The scenography was made of layered hanging tracing paper to recreate street landscape that are quickly disappearing from Asian cities. 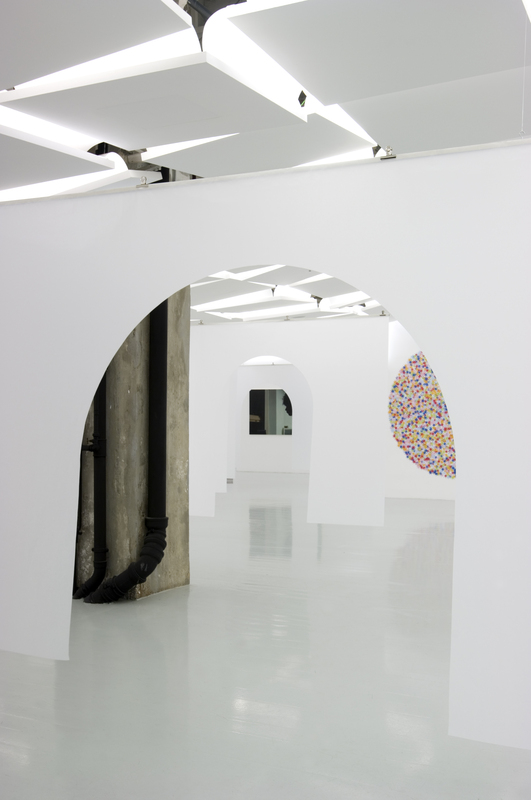 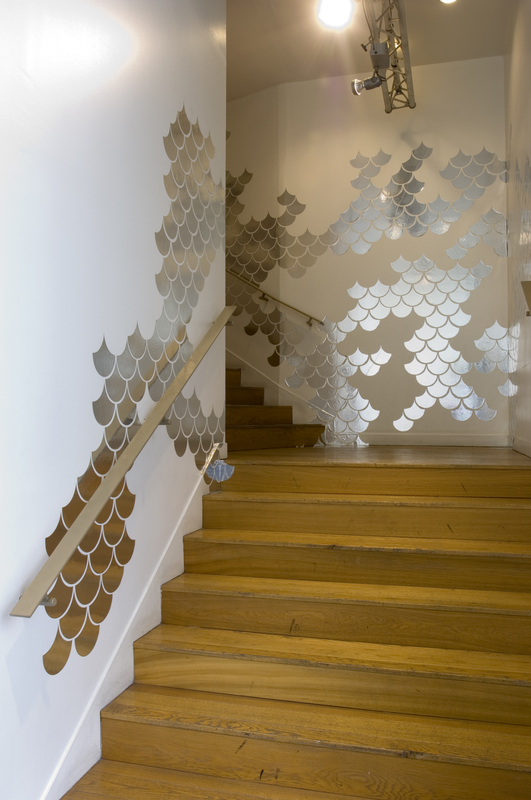 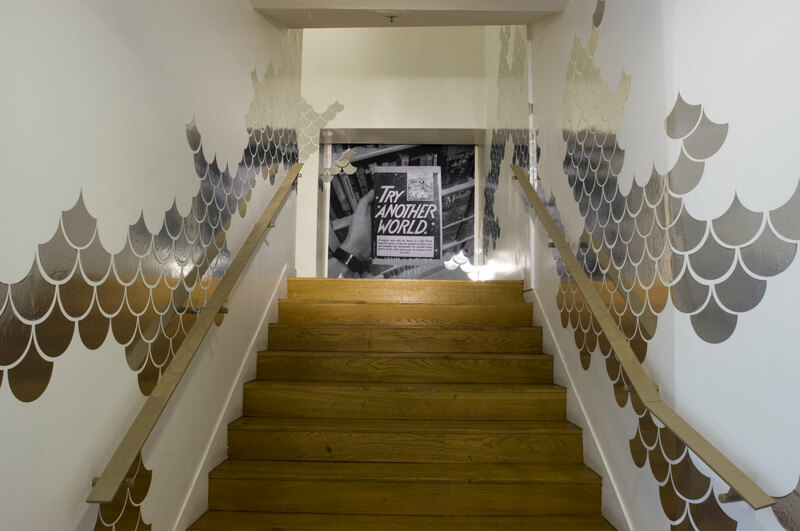 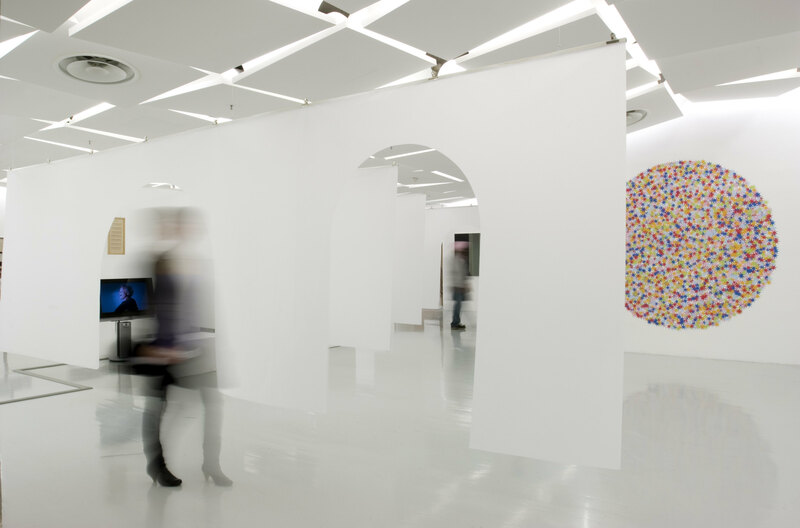 The entrance of the gallery was also decorated by silver shscale-shaped stickers spreading from the street towards upstairs to the gallery invading all surfaces. 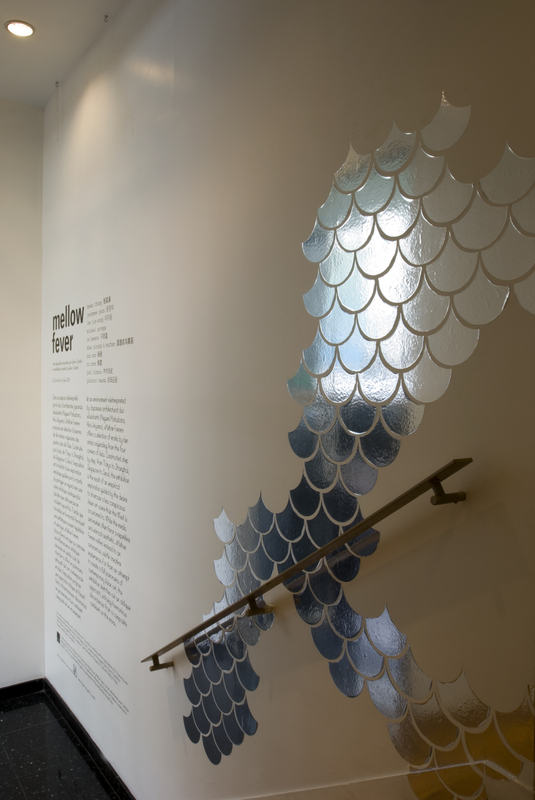 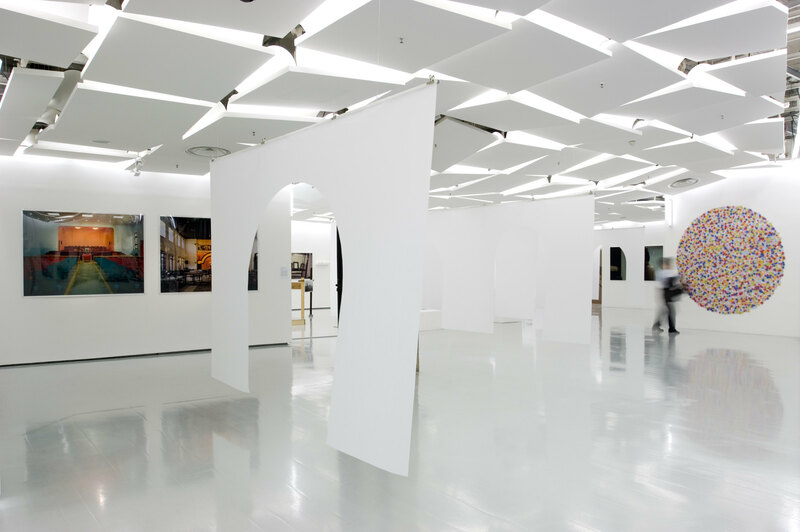 « In an environment reinterpreted by Japanese architectural duo (Megumi Matsubara, Hiroi Ariyama), Mellow Fever offers a selection of works by 10 artists originating from four corners of Asia. 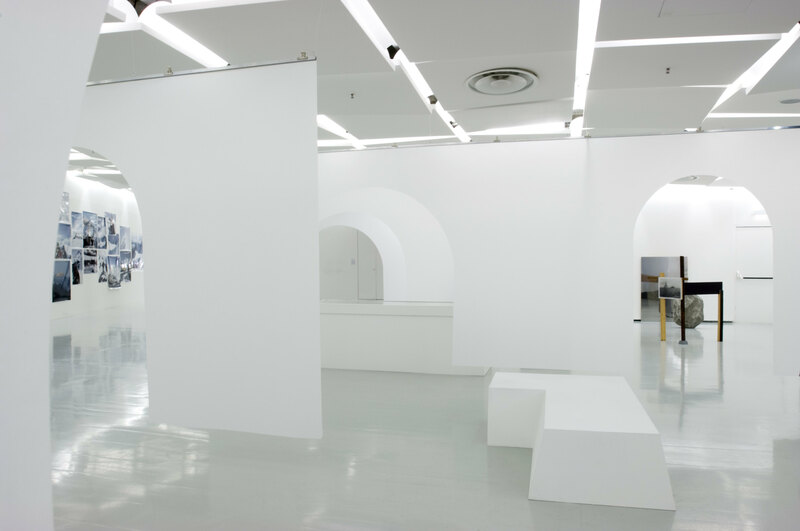 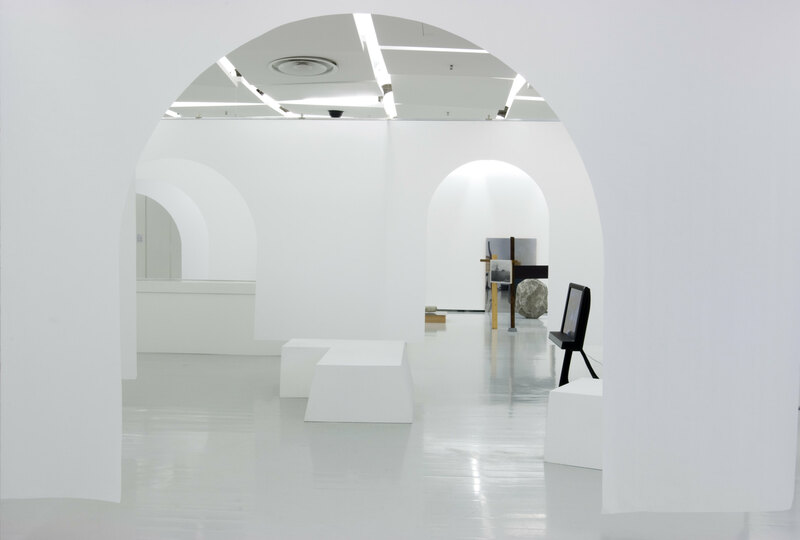 Constructed step by step, from Tokyo to Shanghai, Singapore to Seoul, the exhibition is the result of an empirical exploration guided by the desire to showcase a less conspicuous Asian art scene than the West is accustomed to.